Just in Time for Prom! 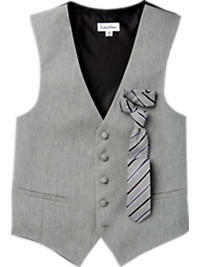 Calvin Klein Vest and Tie set ONLY $10! No need to spend and arm and a leg for Prom! These would be nice too for an informal groomsmen outfit!